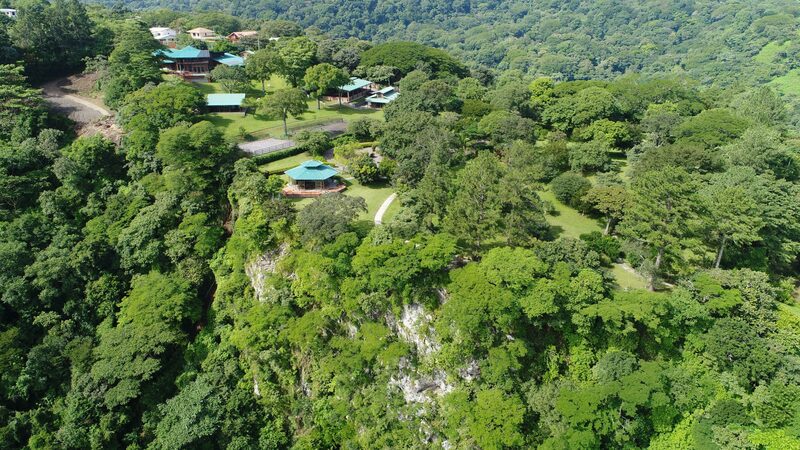 Magical, refreshing, inspiring, heart-opening, clarifying, illuminating, re-awakening, rejuvenating…these are all words that I heard from participants in the course of the three-day Transformational Presence Global Leadership Gathering that took place January 22-24 at Kantara just outside San José, Costa Rica. Kantara is the home and property of Transformational Presence graduate Karen Montealegre. 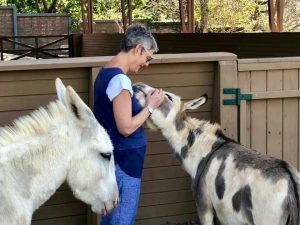 Sprawling along the edge of a canyon and looking across to an 80-meter waterfall, Karen shares this land with eight horses and three donkeys as well as many other two-legged, four-legged, multi-legged, no-legged, and winged creatures. 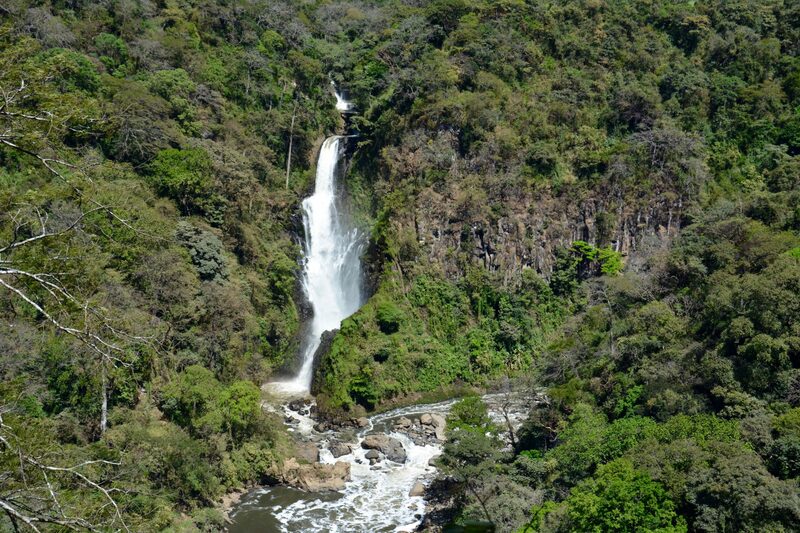 Some of those creatures live here; others, like the monkeys, iguanas, vultures, and toucans, pass through frequently. Kantara (an Arabic word meaning “bridge”) provided a breath-taking setting for our 2019 Gathering. We were outdoors or in open-air spaces for the entire Gathering, fully embraced by all of the elements – earth, wind, fire, water, and open space. This was the sixth Transformational Presence Global Gathering since 2013. However, this year’s Gathering had a very different feel from the previous ones. In past Gatherings, our focus has been more on sharing wisdom and best practices, as well as learning new Transformational Presence tools through masterclasses with me. While there was always a personal development component to each of the previous Gatherings, the greater focus was on the practice of Transformational Presence. For 2019, our focus was much more on who are we called to be as Transformational Presence leaders, coaches, and facilitators. It was all about presence – the presence we are called to embody in order to support growth, development, and forward evolution within ourselves and the people and organizations we serve. Day 1 – Rejuvenate Your Senses – What is coming alive or being re-awakened inside of me? Day 2 – Replenish Your Soul – Who am I called to be at this time in my life? What is waiting to open up from within me in my life and work now? Day 3 – Revitalize Your Work in the World – What is the world asking me for now? Each day began at the hotel with an early morning meditation led by Caroline Veerman (Netherlands). Then during the 20-minute bus ride from the hotel to Kantara, Vivian Vleeshouwers (Netherlands) invited participants to observe their surroundings through the lens of a particular question. These two early morning sessions provided an energetic bridge between the hotel and Kantara, and were a prelude to the new day of exploration and discovery that awaited us. Upon arrival on our first day, host Karen Montealegre welcomed us with a demonstration of making coffee in the traditional Costa Rican way. She explained a bit about the significance of coffee in Costa Rica’s history, and that even the land of Kantara had at one time been a coffee plantation. Following the coffee demonstration, I had the privilege of leading the opening ceremony of the Gathering at the Kantara labyrinth. 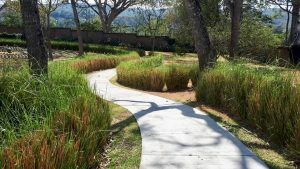 Christian Frey (France/Costa Rica), along with Karen Montealegre, had actually built this labyrinth for the first Transformational Presence workshop at Kantara in 2017. From the opening ceremony, Paulina Barnaś (Poland) and Vincent Sark (Netherlands) served as our Gathering Shepherds, guiding us seamlessly from one activity or session to another and helping us remain mindful of our daily themes and questions. 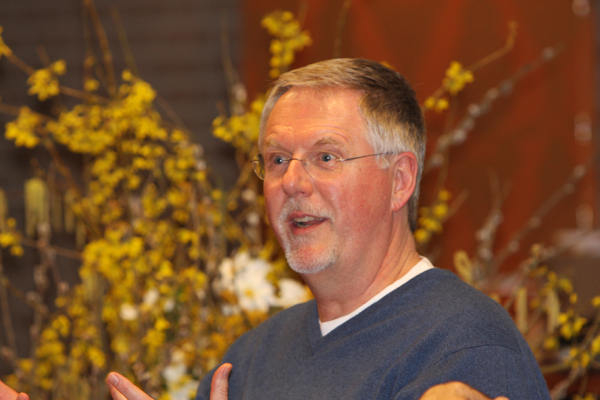 Geert Hofman (Germany) composed a suite of music especially for our Gathering – an incredible gift! His Song for Kantara was made up of nine individual pieces that accompanied us on our journey and created bridges between sessions. The Song for Kantara provided a beautiful soundscape for our unfolding experience together. In the first official session of the Gathering, Joanna Zawada-Kubik (Poland) led us in a playful discovery of the patterns, textures, and rhythms that were waiting to be found in the natural tropical environs of Kantara. We were in a world very different from where most of us live. Joanna’s exercise helped us ground in the powerful earth energy of Kantara and awaken and rejuvenate all of our inner and outer senses. The horses and donkeys of Kantara were an integral part of our three days. 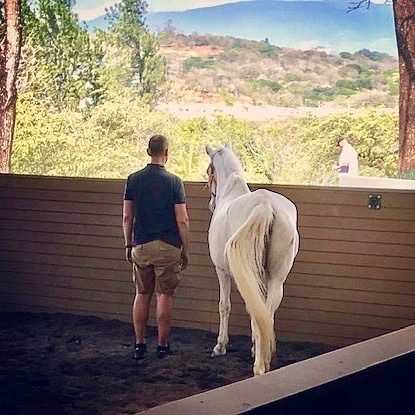 Much of the afternoon of the first day was spent in exercises with the horses to further heighten our senses and awareness, and to strengthen our connection with the more-than-human world. Throughout the Gathering, participants couldn’t stop talking about the deep insights they received from exercises with the horses and their constant presence. A special thank you to Karen Montealegre, Christian Frey, and Giselle Faubel (Colombia/United States) for facilitating our work with the horses. Each day ended with beautiful movement and embodiment exercises led by Joanna Zawada-Kubik to anchor our discoveries and insights. Geert Hofman’s music provided the perfect bridge from the activities of the day into the quiet of the night. “When the Solar Plexus and the Heart Go Dancing” was the title of the opening session of Day 2, co-led by Sander van Eekelen (Netherlands) and me. This session was all about finding the perfect balance between presence and action, being and doing, through “choreographing” your own presence-action dance. Jo Boniszewski (Netherlands) then led us in one of the signature exercises from the Transformational Presence Leadership in Action course, “Learning Forward.” This powerful exercise helps us recognize the supportive learning from our past, as well as release beliefs and patterns that no longer serve us. Then as we step back into the present, we tap into the future to show us the way forward. The “Learning Forward” framework creates a beautiful bridge between our past, future, and present. During the afternoon of Day 2, participants could choose to work with the horses in private coaching sessions, partner with a fellow participant for coaching, take some personal time with a spot on the grounds of Kantara that called out to them, or take a siesta in one of the hammocks scattered around the property. We wrapped up the day with another signature Transformational Presence exercise, “Inside, Outside, or On the Edge,” led by Kim Adams (United States) and Sascha Krijger (Netherlands). As we gathered on the morning of Day 3, it was hard to believe that it was already our last day. The time had flown by, and we were savoring every moment with each other and with this incredible place called Kantara. Using various spots on the land of Kantara to represent aspects of our lives, the morning of Day 3 was filled with a guided silent pilgrimage to deepen awareness of our present-day opportunities, challenges, and invitations. The question of Day 3 was: What is the world asking me for now? The purpose of the pilgrimage was to listen, sense, and feel the answers to that question. The answers we received then helped us recognize the bridges that are waiting to be built in our lives and work – bridges of connection, of relationship, of healing, of co-creation. The “Pilgrimage” movement from Geert Hofman’s suite set the tone for our journey. I then led us across the great open park of Kantara to our first destination, the labyrinth. The labyrinth symbolized our inner landscape – the landscape of the soul. Here we explored the bridges waiting to be built between our inner and outer worlds. From there, Karen Montealegre led us to a spot among the horses to discover the bridges waiting to be built between us and the more-than-human world. Gabriella van Rooij (Netherlands) and Sander van Eekelen (Netherlands) led us to a giant Guanacaste tree, the national tree of Costa Rica, also known at Kantara as the “listening tree.” Gabriella and Sander invited us to be aware of places in our lives where we are being asked to listen in new or deeper ways. Kim Adams and Sascha Krijger then led us to the canyon edge to discover the bridges that could carry us across the current “edges” in our lives. Finally, Joanna Zawada-Kubik led us to the open spaces of the park to explore the potential waiting to unfold for us. What might we create if there were no limitations – nothing getting in our way? The Pilgrimage exercise was a powerful journey of the heart, taking us deeper in our awareness of where we are in our lives right now. In the last session of the Gathering, Peggy MacArthur (United States) led a discovery meditation of the practices of giving and receiving. 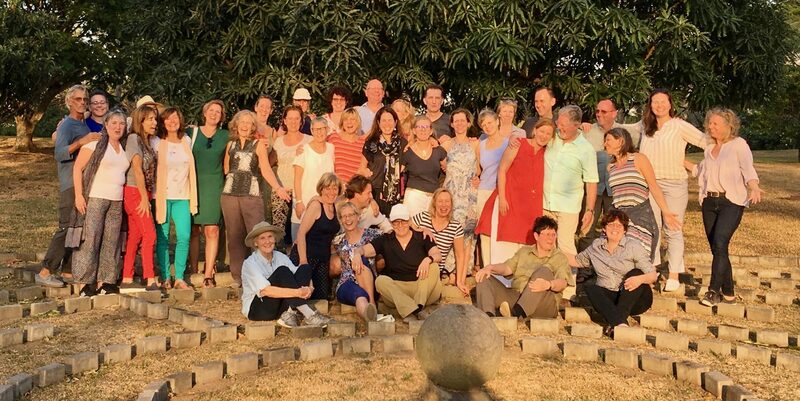 Following on Peggy’s meditation, Sascha Krijger and Kim Adams facilitated a beautiful open-air marketplace where we had the opportunity to give and receive support with one another going forward as we return home and continue our work in the world. The joyous, gratitude-filled closing ceremony at the labyrinth concluded with dancing to Geert’s “Pura Vida” finale of the Song to Kantara, and a fabulous Costa Rican fiesta at the edge of the canyon! There was a very special and unexpected moment in the fiesta that beautifully illustrated the global nature of our community. 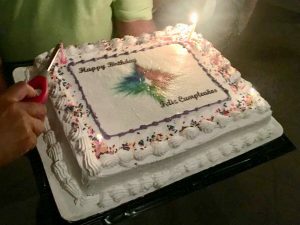 Two participants of the Gathering happened to be celebrating their birthdays on that day, and two others had birthdays in January. Arrangements had been made for a beautiful cake. Yet the best gift was the spontaneous outpouring of birthday songs in six languages! It was a thrilling moment. The global Transformational Presence community is made up of people from 35 countries on six continents. That by itself is an extraordinary gift. However, when we are together, there are no borders. The 2019 Gathering reminded us once again that we are part of an extraordinary community of powerful hearts and gifted hands – a community that has gathered in the spirit of Transformational Presence. Transformational Presence is what binds us together. For that, we are forever grateful. It is a way of living that supports our learning, growth, and service, so that, together, we can continue to create a world that works.